Double brass bracelet covered in fine gold. 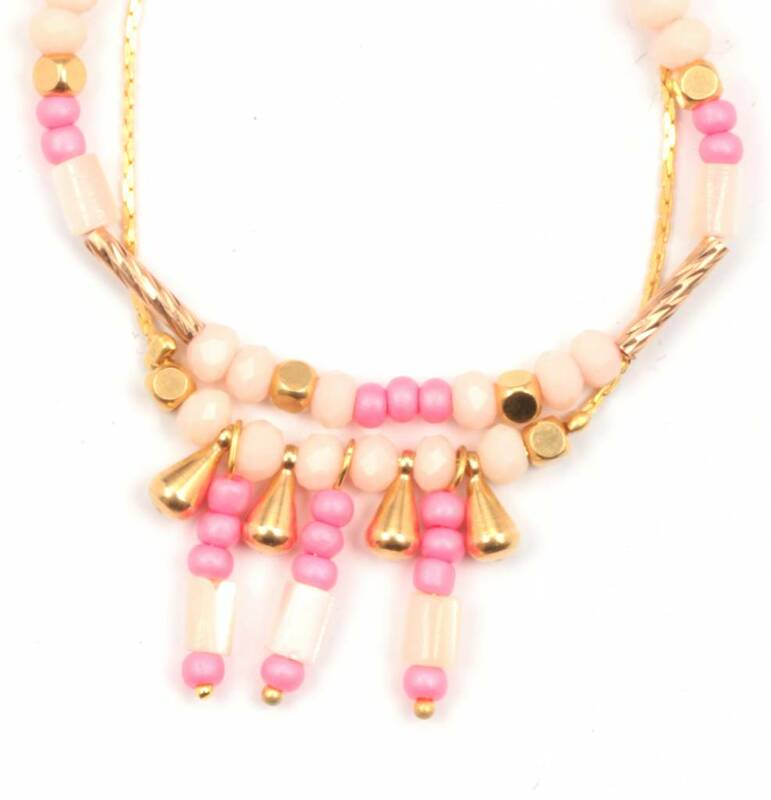 Mix of beige, pink and golden beads. Adjustable chain. 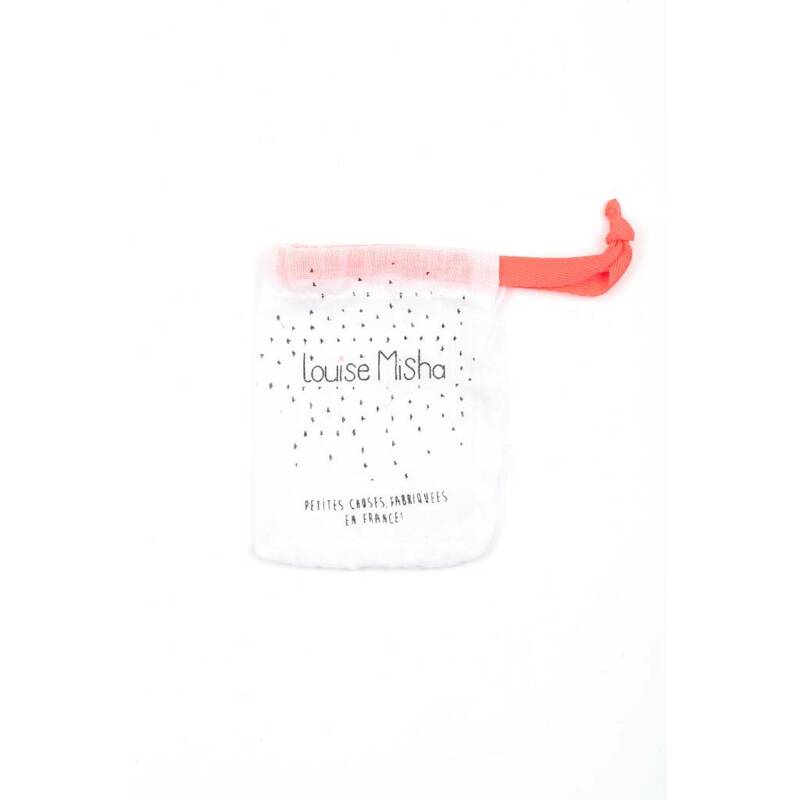 Delivered in a cute little cotton Louise Misha pocket. 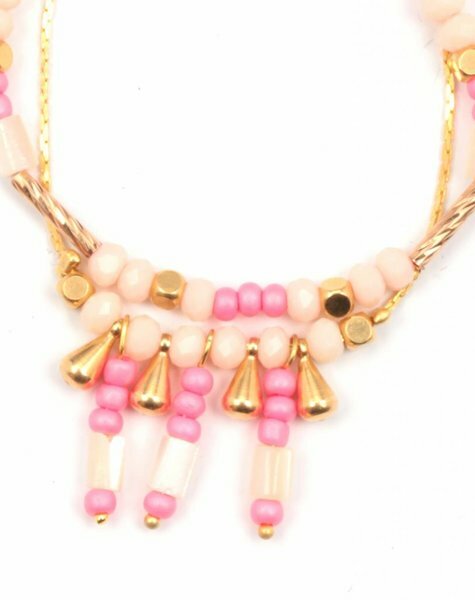 Handmade in Paris. Not water resistant.